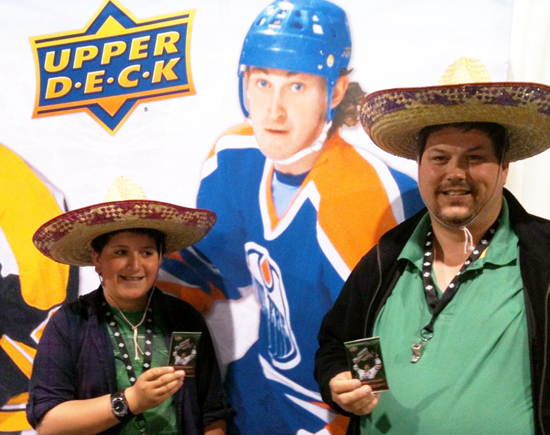 The most common question Upper Deck staff heard during the Spring Sports Card & Collectibles Expo last Saturday was, “What’s with the sombreros?” As many fans know, Upper Deck is located only about an hour north or Mexico so we thought it would be fun to bring some Spanish flavor to the Expo for Cinco de Mayo. And fans seemed to have a great time with it, especially when it came time for the raffle later on in the day where a huge crowd gathered to take part in the festivities. 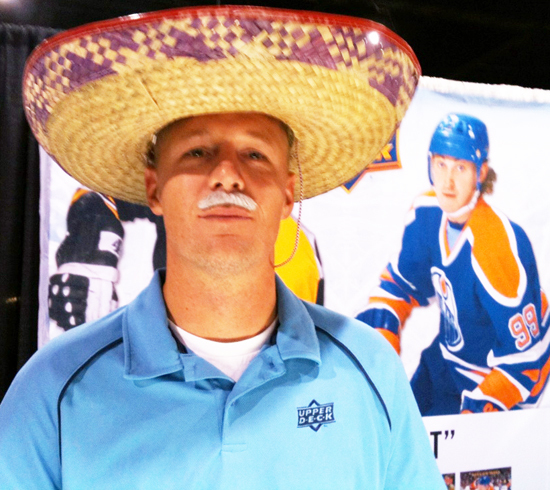 Take a look at a gallery of images from this fun filled fiesta! 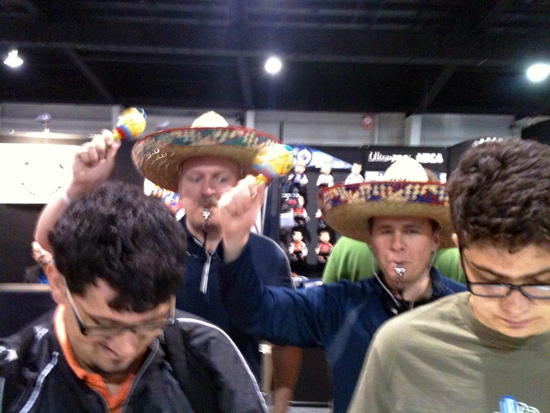 UD staff were ready to signal any big pulls with whistles and maracas! A father & son got in on the fun! 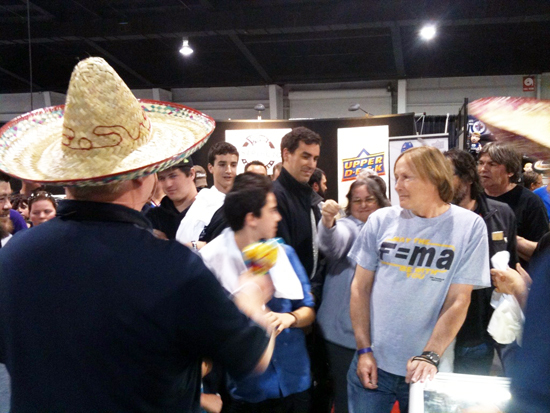 His hands were shaking a bit so it was difficult capturing the card, but we had no trouble capturing Senor Sandground in the background. 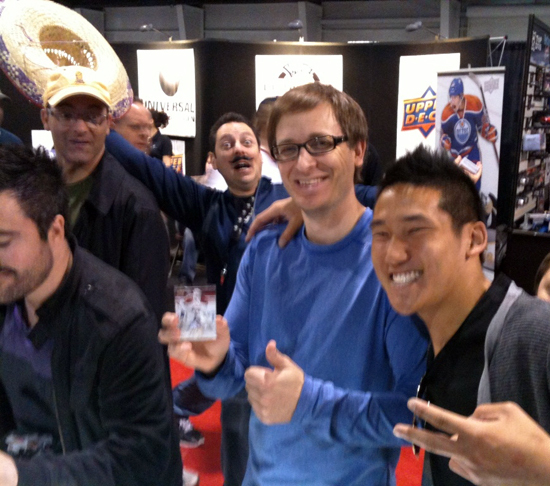 Our last Facebook winner swung by the booth to pick up his Adam Henrique autograph UDA puck! There were a lot of smiles on UD's Cinco de Mayo Saturday! Another collector got in on the fiesta! 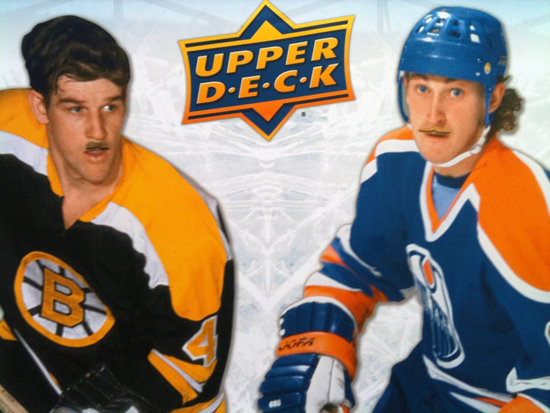 Even Bobby and Wayne decided to dawn a mustache for a bit! More smiles, more big pulls! 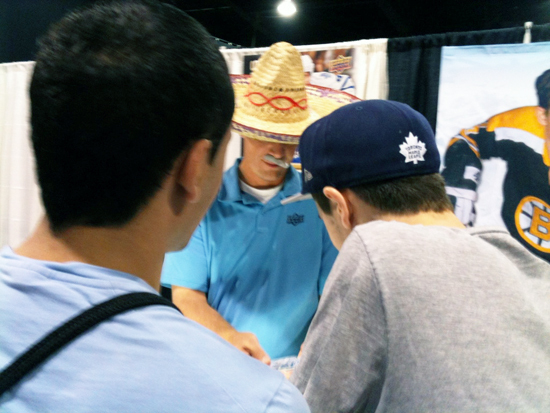 Senor Lowman grabbed the wise old man mustache that made even Gretzky jealous! 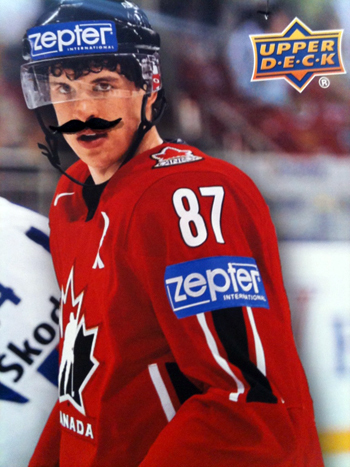 Unfortunately Senor Lowman later suffered a rather embarrassing mustache malfunction. 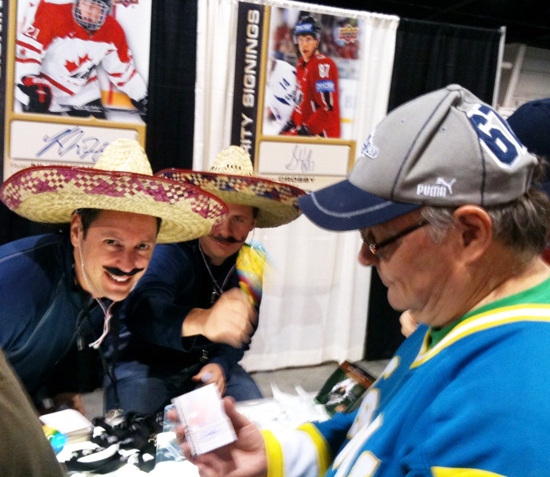 We had a Mexican standoff as two factions debated who pulled the better Priority Signings card; Ovechkin or Crosby. A lucky senora came forward to grab her prize at the Cinco de Mayo raffle. 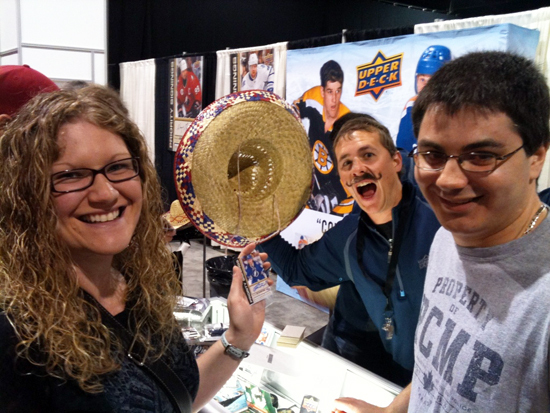 This lucky lady scored THREE FREE Priority Signings cards at the Cinco de Mayo raffle. 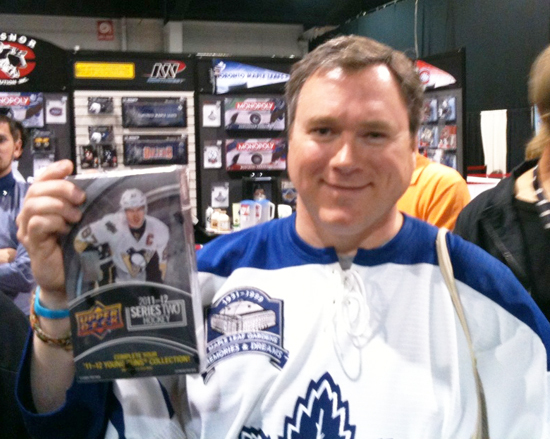 This happy Leafs fan scored a new box of 2011-12 NHL Upper Deck Series Two! 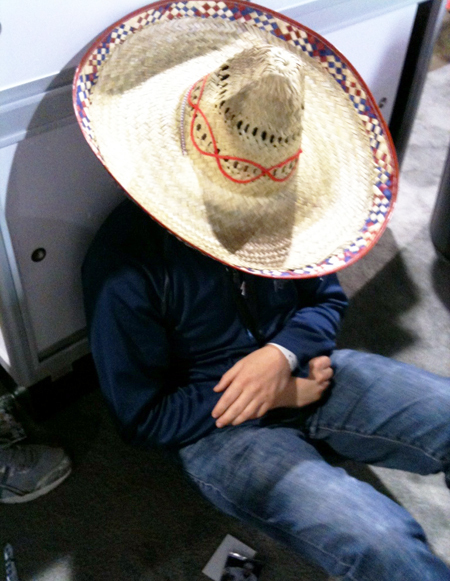 And when it was all said and done, the team felt it was time to take a little siesta after a very busy day! We thought it would be fun to keep the fun going. 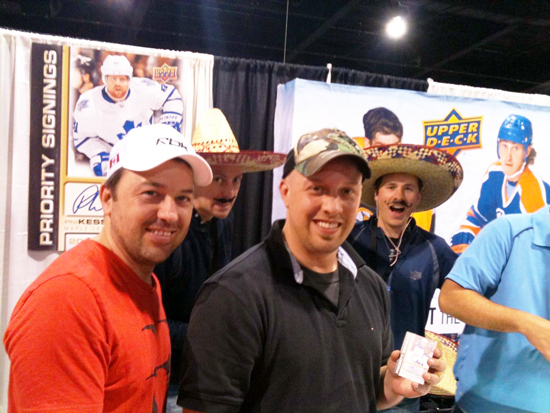 Take a picture of you with a mustache holding a favorite Upper Deck card for your chance to score a 2012 Upper Deck Priority Signings card. 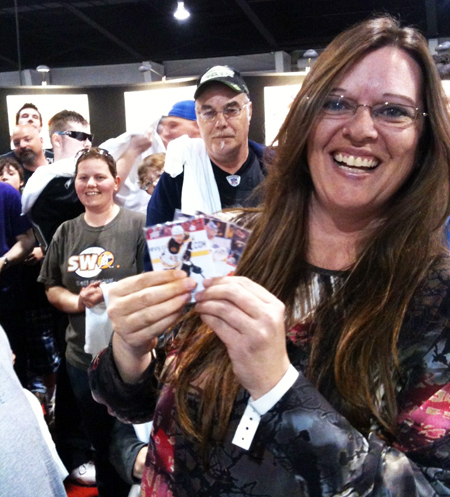 Post that image to the Upper Deck Facebook page by Friday, May 11, 2012 at 4:00 p.m. Pacific and we will select our two favorite images to receive a FREE Priority Signings card. Posted mine to your Facebook Page! Would be SWEET to win one of these so THANK YOU for the giveaway and the chance to win one! Especially now being disabled and can’t get to Canada! Thank you so much for this chance! 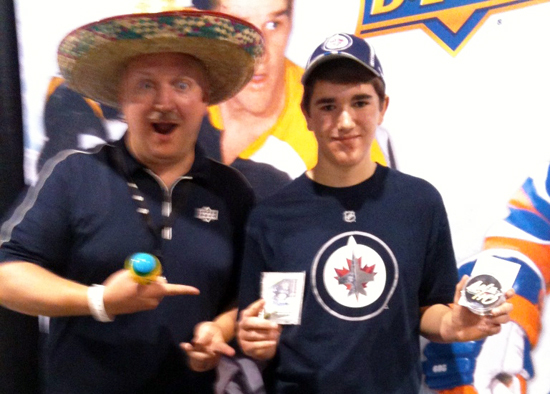 If you have any left over Pens cards or signs/posters you need to get rid of let me know and ill take them… Big Pens fan. Thanks once again for a contest ! Your a company that likes too share & peak our interests ! Always looking forward to you new Hockey Products ! 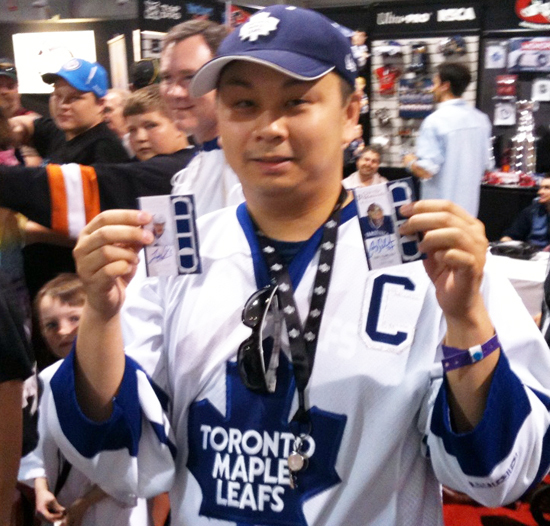 Hey its great upper deck is giving people chances to win a priority signings card especially if you missed out on your chance of getting one like i did lol , I hope i get a chance to win one , And its awesome upper deck is getting involved into everything they possibly can to bring more excitement and fun into the hobby of collecting hockey cards ! 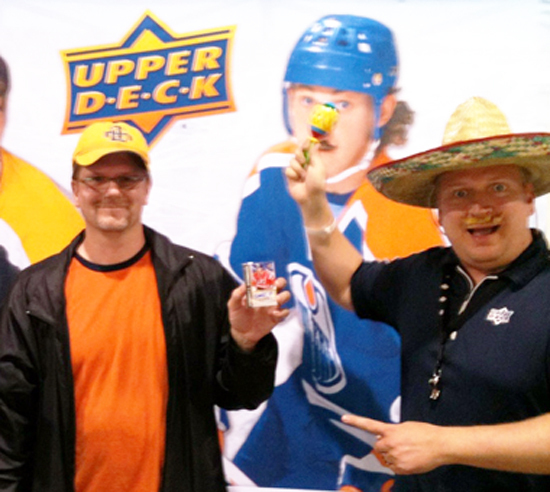 , Upper Deck Rocks ! 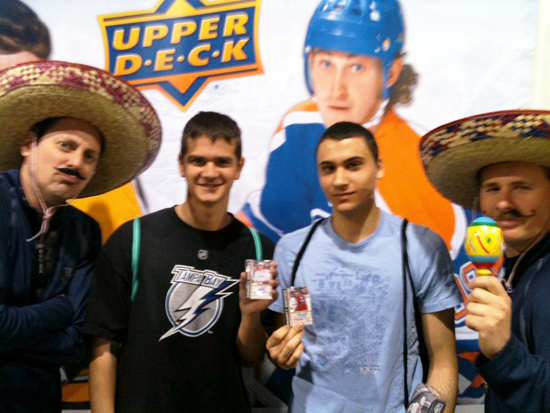 Love the picture of me and my better half pulling the Stamkos card. What a fun day and thanks again for a fun box break contest!